They say a picture is worth a thousand words and video is worth a million, so "read" on! 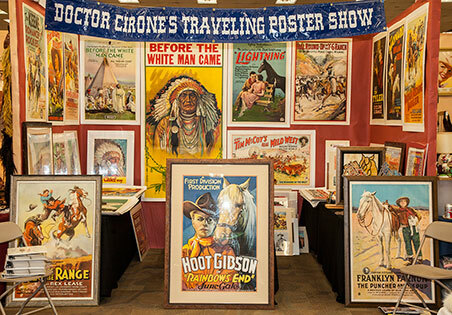 Also visit our YouTube Channel and Pinterest Page for more from Brian Lebel's High Noon Show & Auction and Old West Show & Auction. Check back often for new uploads. 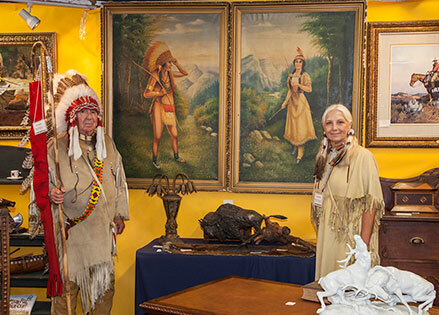 Western Art Collector attends Brian Lebel's Show & Auction, January 21-22, 2017, in Mesa, Arizona. Music by R.L. Hayden, www.rlhayden.com. The sale of the Billy the Kid Tintype. Courtesy of True West Magazine. Boots, jackets, handbags. That's how we like it. One in a series of video interviews with Dusty Rogers in 2010. This is a great one about Dale Evans and her famous Colt and rig. Brian being interviewed on Fox National News. We love Don Reeves, and his Luis Ortega book! 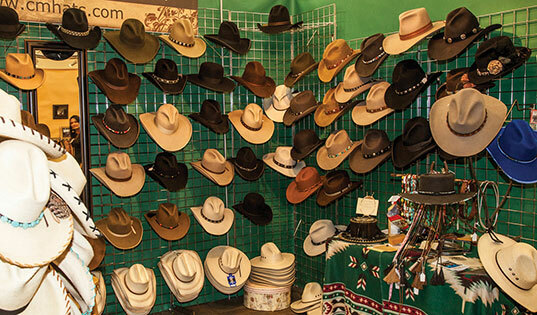 Stop for a hat after you've got your boots picked out. Dusty Rogers talks about his father's '64 Lincoln and how it got its canary yellow paint job. Promo Video. 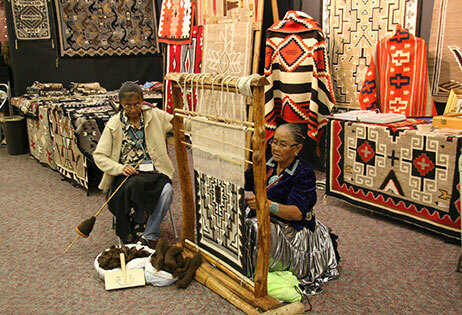 Filmed on location at the 2012 Old West Show. 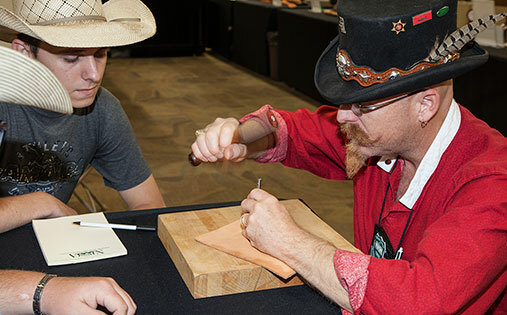 Teaching moment at the NBSSCA Mark of the Makers Contest at the Old West Show. 30 second TV commercial we did in 2013 for PBS. Posters, posters and more posters. Great old cowboy gear. One of our favorite booth photos. When using images from our site, please credit "courtesy of Brian Lebel's Old West Events." Many of the photos on this site are the work of: Johnny Williams, Photo Kings, Scottsdale, AZ; High Noon Western Americana - Los Angeles, CA; and Robin Ireland - Ireland Graphic Design, Pasadena, CA.